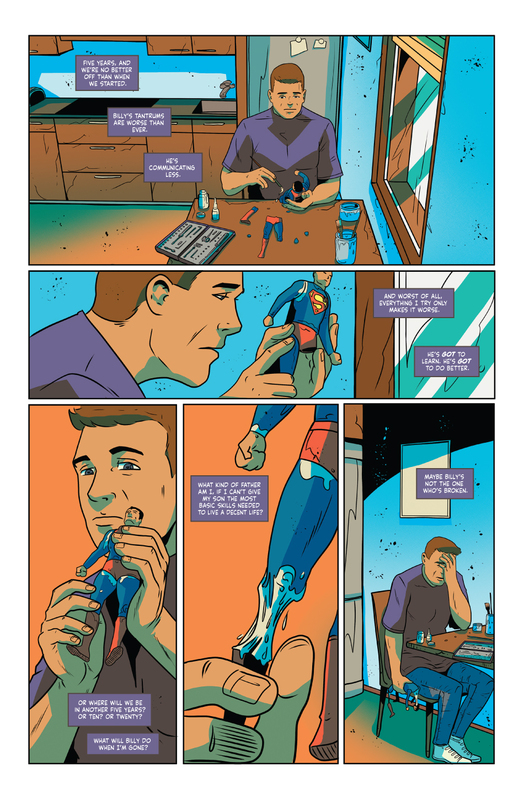 Grief is an 82-page anthology about struggle and hope written for the comic book fan. NEW JERSEY—March 4, 2017—Comic book writer Frank Gogol has announced the launch of a new comic book anthology, GRIEF, coming to Kickstarter April 4. The book is a collection of comic short stories that range in genre from superhero to drama, sci-fi to horror, but all focus on characters’ journeys through the grieving process. 10 stories from 11 creators. Luca Bulgheroni is a comic book artist and colorist from Bologna, Italy. He is currently a student at the Bologna Academy of Fine Arts where he is studying digital coloring. Emily Elmer is a comic book colorist living in Los Angeles, California. She has colored comic books such as P.B.O.W., Possessions, RED XMAS, and Fight the Future. Esther Gil-Munilla is a sequential artist and colorist living in Spain. Her work has been featured in Alterna’s IF and Boundless anthologies as well as in indie projects like Death’s End. Sean Rinehart is a letterer from Madison, Wisconsin. His lettering work can be seen in Campaigners, Angle of Attack, Billy the Dark Elf, The Glory, Flux, and many more. Dani Martins digital painter living in Rio de Janeiro, Brazil. She’s worked in both publishing and visual development and is the creator of the forthcoming manga series Black Apple. Nenad Cviticanin is a Serbian comic book artist whose credits include being published by Epicenter Comics, Wonder Comics, and several independent publishers. Bethany Varni is a freelance comic book illustrator living in Virginia. Her comic book credits include Home, The Tainted, Cunning Folk, and Drop Point. Ryan Foust is an illustrator living in the United States. Ryan’s work on Monsters in the Grief anthology is his debut comics work. Kim Holm is a Norwegian creative artist. His areas of work include album artwork, music videos, the occasional comic book story, and more. Jey Soliva is an independent comic book artist living in Manila, Philippines. He has worked for Pross Comics and his work includes the comic book Syringe, among other works.